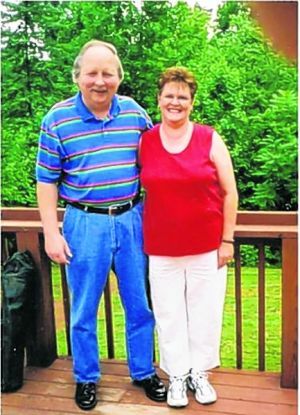 On Sunday, March 23, 2014 the angels came for Michael W. (Mike) Dooley, 60, of Roanoke. He was preceded in death by his father, T. Wayne Dooley, father-in-law, Wesley Collins and a special friend, Don Luther. Mike was an employee of Double Envelope for 35 years. He was an avid bowler at Hilltop Lanes. Surviving are his wife of 33 years, Wanda C. Dooley; son, Kenneth (Kenny) Dooley and wife Linden, USAF, Nebraska; mother, Geneva Bower; brother, Steve Dooley and wife Paula; stepmother, Ann Dooley; nephew, Chris Bobbitt; nieces, Kaitlyn Bobbitt and Trinity Dooley; mother-in-law, Lois Collins; sister-in-law, Jennifer Bobbitt and husband Eddie; brother-in-law, John Collins; devoted cat, Samone; special friend, Lorraine Luther and her pet Bear Bear; and friends too numerous to mention.